Recently, the Congregational Archives had the opportunity to collaborate with an overseas cultural institution in uncovering the story of a Sister of Charity of Australia, Sr Marie Sophie Werder. This collaboration was initiated by a request from Hutt City Libraries, New Zealand, for access to the obituary of Sr Marie. The information was to be used as part of a heritage project at the Library celebrating 125 years of women’s suffrage and sharing the stories of women who had a connection to Lower Hutt. While the obituary provided a general overview of Sr Marie’s life, it contained little detail of her 46 years prior to entering the Congregation. However, it revealed interesting facts including her birthplace, work as a civilian nurse at war hospitals in the UK during World War I, and ownership of a private maternity hospital in Lower Hutt, NZ. This information raised more questions than it answered, prompting further research by the Archives to better understand the story of Sr Marie and how she came to become a Sister of Charity. Who was Sr Marie Sophie Werder? Anna Maria Werder was born on February 7, 1880 in the village of Oberwil, Cham in the Swiss Canton of Zug. She was educated by Benedictine Sisters, most likely at the nearby Kloster Heiligkreuz (Holy Cross Monastery). Following the death of her father, she sold the family home and emigrated to New Zealand, arriving in Wellington aboard the Wimmera on August 8, 1907. Her decision was no doubt influenced by the earlier migration of her two brothers, who had settled and farmed in the Taranaki region on the North Island. While Marie offered her services to the war effort, it appears that her Swiss nationality precluded her. 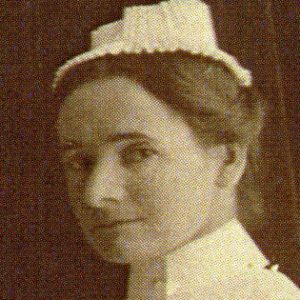 Nevertheless, she managed to make her way to the UK aboard the RMS Remuera, and undertook work as a civilian nurse at several military hospitals. 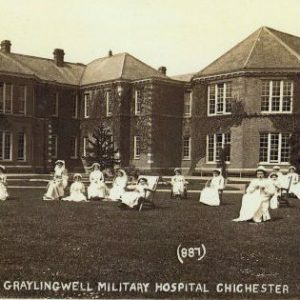 After an 18-month stint at Graylingwell, Marie undertook and successfully completed midwifery training at Queen Charlotte’s Hospital in London, before being appointed to Duston War Hospital, Northampton. Whilst stationed at Northampton, Marie became a naturalised British Citizen and took the Oath of Allegiance on 15 June 1918. On March 19, 1919 Marie left the UK aboard the troopship Tainui, arriving back in Wellington on September 22. It is likely that she continued her nursing duties aboard the Tainui, which transported 393 soldiers including a number of convalescents. By January, 1920 Kai Tiaki reported that Marie had taken over Mrs Hulme’s Private Hospital located at 15 Knights Road, Lower Hutt. 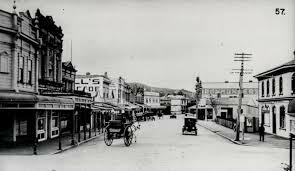 The hospital came to be known as St Winifred’s Maternity Hospital, one of two maternity hospitals in Lower Hutt. From contemporary reports, it appears that Marie and St Winifred’s provided a vital service to the community of Lower Hutt, but there was consternation caused by rumours that she had returned her licence to the Health Department in late 1924. 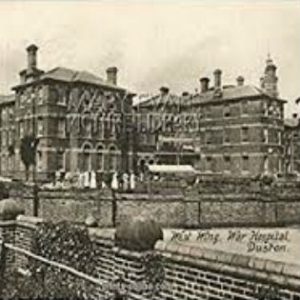 Whilst Sr Marie had refuted earlier rumours, it is clear that she had been considering the matter as by July 10, 1925 she had sold the hospital and was bound for Sydney, aboard the Ulimaroa. On January 6, 1926, at the age of 46, Marie Werder entered the Religious Sisters of Charity. Sr Marie Sophie was professed on August 4, 1928 and made her final vows on August 4, 1931. Initially appointed to nursing duties at St Vincent’s Hospital, Sydney, she spent most of her religious life ministering at Sacred Heart Hospice, Darlinghurst. In her final years she was appointed as the Infirmarian of St Vincent’s Convent, Potts Point, treating both Sisters and students. Sr Marie Sophie Werder died on June 1, 1967 at the age of 87 and was buried in Rookwood Cemetery, Sydney. While the above research has added further to our understanding of Sr Marie’s story, there are some questions that will remain a mystery. What motivated Sr Marie to enter religious life? Why did Sr Marie choose to join the Sisters of Charity over other Congregations already ministering in NZ such as the Sisters of Mercy, the Sisters of Compassion or the Sisters of Saint Joseph of the Sacred Heart? How did she come to know the Sisters of Charity given they did not have any foundations in NZ? Did she come into contact with them during her initial journey from Switzerland to NZ? Although we have been unable to answer these questions, it is clear that Sr Marie was a woman of great strength, courage and determination. Although the Congregational Archives is rich in information, collaboration with other organisations and individuals greatly assists in research such as this. We would like to acknowledge the generous assistance of Jeffrey Russell at Hutt City Libraries and Marie Dwyer, the Werder family historian for providing both information and photographs of Marie Werder.